Finish. The procrastinator's to-do list. by Basil Ltd. 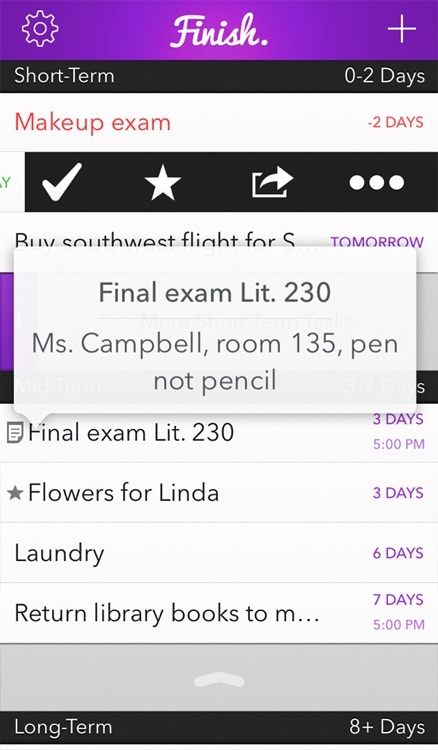 Overcome the clutches of procrastination with Finish, a busy iPhone user’s best friend. Unlike other to-do apps that are "clever" for their own sake, only Finish takes advantage of how you naturally think. Finish gets in your face when you need it, stays out of the way when you don't, and effortlessly keeps you focused on the only thing that matters: completing important tasks. Fully rebuilt for iOS 8! Forbes: "You can retire your post it notes!" iPhone Life Magazine: "I've never found task apps that useful…but Finish for iPhone has changed that." TechCrunch: "If you’re a high school or college student, or a freelancer with deadlines, Finish’s due-date-based system will probably be just the trick." 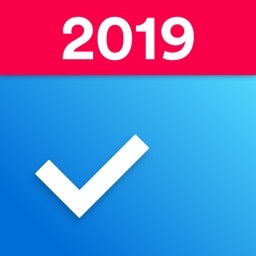 TUAW: "Finish is a nice looking app. It's very well done. As days go by, tasks get re-assigned accordingly. That's pretty handy as deadlines draw nearer." 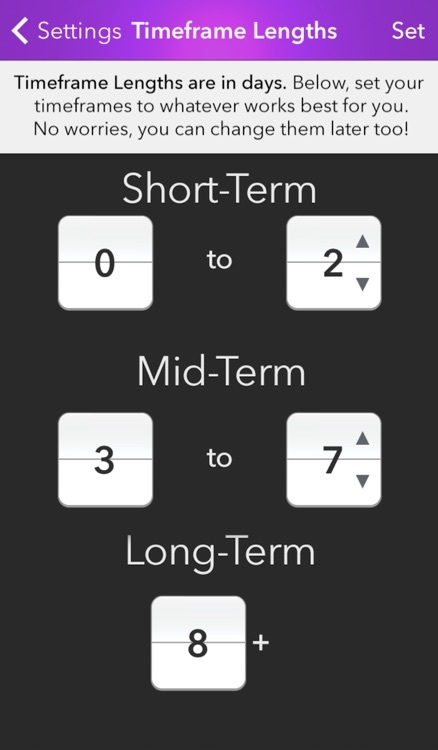 – Simple, intuitive to-do entry. Name, date, done. – Unique, fully automated, timeframes-based task management. 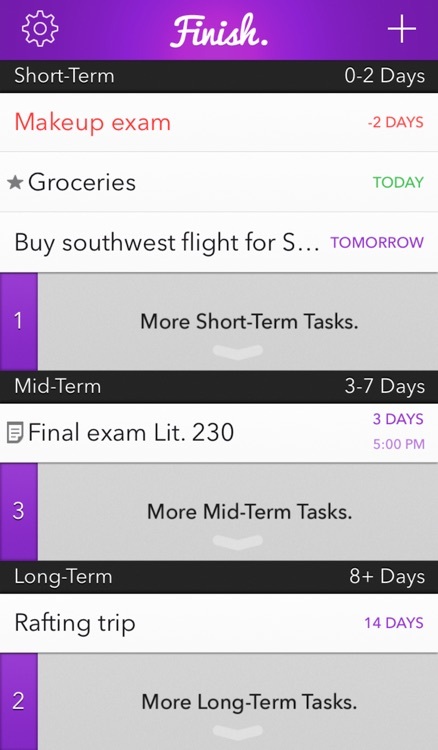 Your tasks automatically slide up as time passes through your customizable Short-, Mid-, and Long-Term Timeframes. 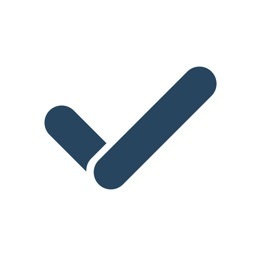 – Notifications that actually help: with optional notifications for both when a task slides or becomes due, you can stay focused on each individual task, while also maintaining a broader sense of how long you have to do everything. 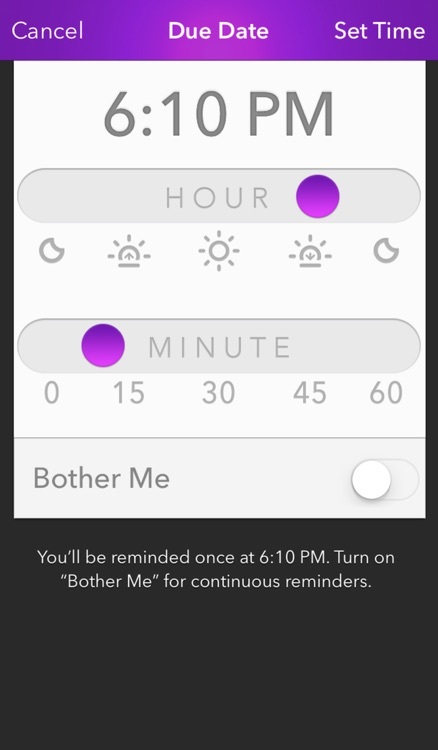 Set a time for any task in just a few taps, and even turn on the "Bother Me" switch if you want be be bothered every hour to finish your task! It's a secret weapon against procrastination. 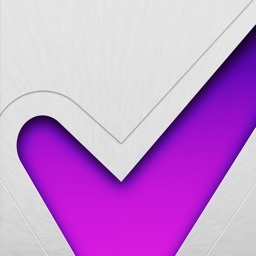 – Truly satisfying completion indicators. – A gorgeous, gesture-based interface--Finish is smooth as can be and a joy to use, because you deserve it. 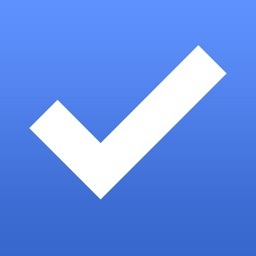 - One-tap access to all of your completed tasks. Just tap the Finish in the top bar to see what you've finished! – Multiple view modes--don't want to be stressed and overwhelmed, no matter how much you have to do? 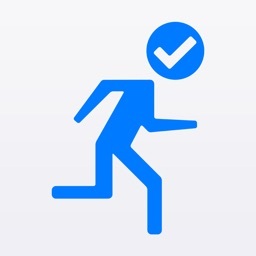 Finish intelligently collapses your less urgent tasks, without you needing to worry about a thing. Feeling ahead of the game, and want to see everything at once? Just flick off Focus Mode in Settings. You'll be ready to conquer all of your stuff, no matter the circumstances. With updates constantly in the works, Finish can only get better. 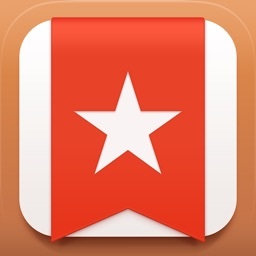 You're awesome, so why not grab the best procrastination-beating and To-Do app available? With Finish at your fingertips, procrastination is a thing of the past. Apple now restricts users of devices running prerelease versions of iOS from writing reviews of apps on the App Store. 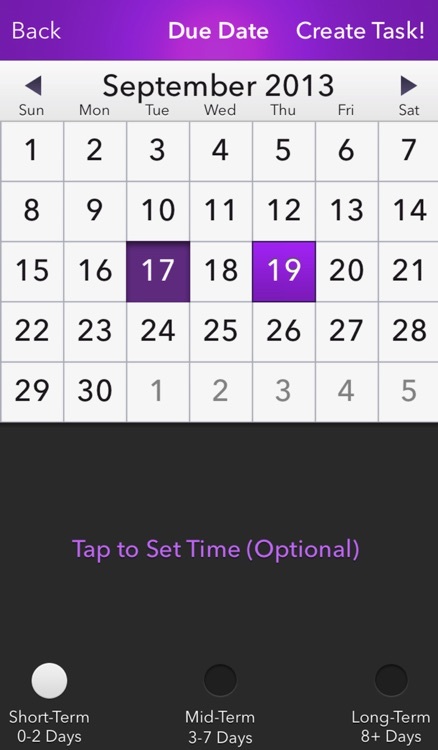 The premium features are now available without an in-app purchase.